Patricia Low is pleased to present new paintings and sculpture by Kenny Scharf. In his paintings, Scharf presents recognisable objects and repeated shapes or stripes each executed with the same vibrancy, energy and an innate humour. 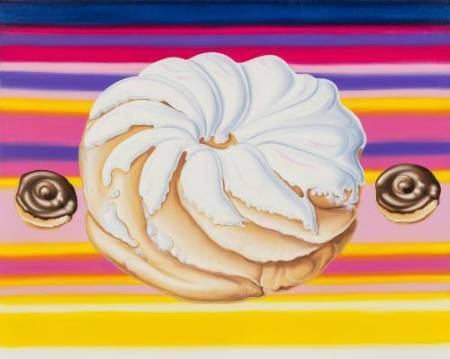 Four of the paintings depict brightly coloured iced donuts, one of America’s stodgy staples, surrounded by a virtual galaxy of slightly smaller treats or hovering dominantly above a splattered background. This series of work began in 2005 with Donut Jamboree a large scale layered painting that collaged together elements of popular culture via a range of painting styles and surfaces including silkscreened media images, acrylic paint and glitter. Since making this work the donut has become a recognisable trademark of Scharf’s practice as both part of his pop-graphic language and a shorthand motif for mass consumerism. These paintings are a visual celebration of a physical confection with a feel good surface that belies the connotations of America’s love hate relationship with junk food and obesity. Untitled, Blah Blobs, and Jello-orbz depict amorphous shapes overlapping and bumping up against each other, they have the appearance of globules of liquid mercury in jelly bean colours. Re-Blobz, however presents similar shapes with cartoon faces referencing Scharf’s early paintings of well known cartoon characters (The Jetsons and The Flintstones) and giving a glimpse into what he has described as ‘1960s pop filtering into his painting’. In Squirtz, Scharf brings his characters into gestural 3D form cast in seductive fibreglass capturing a startled cartoony figure coated with a saccharine shell. The fact that this model is assembled on top of a Lazy Susan again nods back to suburban American culture. Scharf’s work is at once personalised and depersonalised as he imbues iconic everyday objects with a glossy larger-than-life status and takes an obvious pleasure in making these candy coloured paintings; yet in elevating the banal subjects or pop aesthetics to centre stage he automatically highlights the superficiality of their very nature. Kenny Scharf came to prominence as part of the ‘East Village art scene’ in the early 1980s and coined the phrase ‘pop surrealism’ to describe his paintings and sculpture. He showed twice at Patti Astor’s Fun Gallery which, during its five year run, also hosted exhibitions by Scharf’s contemporaries Keith Haring and Jean-Michel Basquiat among others. Public collections include Guggenheim Museum, New York; Whitney Museum of American Art, New York; Stedelijk Museum, Holland; Sogetsu Museum, Tokyo; San Francisco Museum of Modern Art; Museum of Contemporary Art, Los Angeles; Museu de Arte Moderna, Rio de Janeiro; Ludwig Museum, Cologne. L’opera entrerà ufficialmente nella collezione permanente del Museo, accanto a lavori di Alviani, Arman, Atchugarry, Angi, Beuyes, Basso, Ceccobelli, Chiari, Cogorno, Corner, Costa, Cracking Art Group, De Molfetta, Depero, Dorfles, Fiume, Fontana, Galliani, Guttuso, Kosice, Marangoni, Marchegiani, Mondino, Mustica, Patterson, Pignatelli, Polesello, Pomodoro, Man Ray, Rotella, Spoerri, M. Thun, Vautier, Veronese, solo per citare alcune tra le oltre centosettanta opere presenti in questo prezioso scrigno di arte e natura. AS: Ci siamo finalmente arrivati: nel lontano 1972 ho pensato di creare un labirinto circoscrivendo, una dopo l’altra, le lettere della parola LABIRINTO. Quel che ne è sortito assomiglia a un labirinto, forse banale, forse troppo facile da percorrere per raggiungere la “O” in centro. Comunque un tentativo tentato che accontenta. Dopo aver realizzato alcune maquette del progetto, invitato nel 1978 alla mostra Metafisica del quotidiano (Galleria d’Arte Moderna di Bologna), ne ho proposto l’allestimento. Il progetto prevedeva la costruzione, in uno spazio all’aperto, del labirinto con al centro una lastra di marmo che ne rappresentasse l’obiettivo e, allo stesso tempo, la spiegazione. Per motivi di carattere economico il labirinto è stato realizzato con semplici solchi sul terreno che rendevano percorribili (e leggibili) le nove lettere. Ora, in questa nuova versione realizzata per il Museo del Parco di Portofino e per Amarte si è trasformato in una superficie metallica e tridimensionale. "For the first time, man has the chance to be a complete success in his environment." 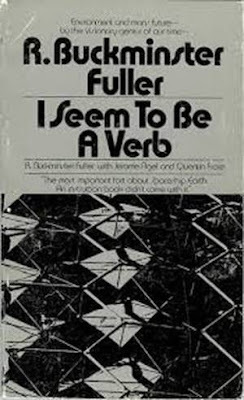 This startling thesis is supported in I SeemTo Be A Verb, by the out-of-the-ordinary authors: R. Buckminster Fuller: Comprehensive designer, inventor, engineer, mathematician, architect, cartographer, philosopher, poet, cosmogonist, choreographer, visionary -- celebrated for developing geodesic houses that fly and for dysmaxion ways of living. Jerome Agel: Conceived and produced The Medium is the Massage, produced War and Peace in the Global Village, wrote The Making of Kubricks 2001, is writing with Arthur C. Clarke Arthur C. Clarke Meets Hieronymus Bosch, conceived and wrote the CBS lp record based on The Medium is the Massage. Quentin Fiore: Graphics designer and author, co-author with Marshall McLuhan of The Medium is the Massage and War and Peace in the Global Village, media and telecommunications consultant, Director of By Other Means Foundation. Video art emerged as an art form that from the 1960s and onwards challenged the concept of art - hence, art historical practices. From the perspective of artists, critics, and scholars engaged with this new medium, art was seen as too limiting a notion. Important issues were to re-think art as a means for critical investigations and a demand for visual reconsiderations. Likewise, art history was argued to be in crisis and in need of adapting its theories and methods in order to produce interpretations and thereby establish historical sense for moving images as fine art. 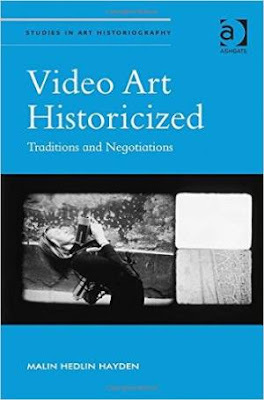 Yet, as this book argues, video art history has evolved into a discourse clinging to traditional concepts, ideologies, and narrative structures - manifested in an increasing body of texts. Video art historicized provides a novel, insightful and also challenging re-interpretation of this field by examining the discourse and its own premises. It takes a firm conceptual approach to the material, examining the conceptual, theoretical, and methodological implications that are simultaneously contested by both artists and authors, yet intertwined in both the legitimizing and the historicizing processes of video as art. 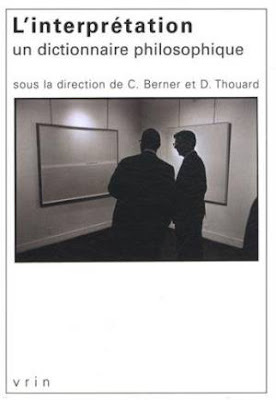 By engaging art historya (TM)s most debated concepts (canon, art, and history) this study provides an in-depth investigation of the mechanisms of the historiography of video art. Scrutinizing various narratives on video art, the book emphasizes the profound and widespread hesitations towards, but also the efforts to negotiate, traditional concepts and practices. By focusing on the politics of this discourse, theoretical issues of gender, nationality, and particular themes in video art Malin Hedlin Hayden contests the presumptions that inform video art and its history. Prosegue con Flip Flop Organ il programma di esposizioni, installazioni e attività artistiche previste da Reuse Azioni per il riciclo creativo della plastica, progetto nell’ambito del programma strategico Med - 3R. L'opera sarà installata sui basamenti presenti nella scalinata lato piazza Matteotti di Palazzo Ducale. Flip Flop Organ è un'installazione realizzata e disegnata da MaDg Studio - Margherita Del Grosso, con Greta Solari, Andrea Silvestri, Emanuela Roascio - giovane studio internazionale di architettura con sede a Genova. L’interazione con l’utente è il cardine del progetto, poiché è attraverso i sensi e quindi l’udito e la vista che la piazza vede mutato il suo aspetto. La musica come mezzo di unione, incontro e partecipazione. Flip Flop Organ è un oggetto sonoro che combina la sua ambizione alla partecipazione con la semplicità del suo utilizzo e dei suoi materiali: ecco come comuni tubi in plastica tornano a nuova vita. È il linguaggio classico a stabilire la stereometria del progetto che si sostituisce alle sculture dei Doria rispettandone gli ingombri. 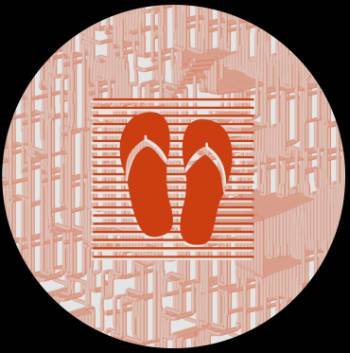 Uno strumento musicale collettivo disegnato in relazione alle frequenze sonore della scala pentatonica e il cui suono viene prodotto dalla percussione di flip flop sulle estremità. One of the most intriguing artists of the last century, Hanne Darboven (1941-2009) has rarely been exhibited in the UK, and this is the first exhibition of her work in Scotland. Part of a generation who challenged the way that art was made, Darboven created a vast body of idiosyncratic works, documenting her attempt to index life as it is lived; amongst the weight of world history and culture. Accepting anything among everything is centred upon the work Life / Living (1997-1998), a monumental installation of hundreds of framed works that form a systematic representation of the years 1900 - 1999. Utilising a form of mathematical prose developed throughout her career, Darboven sought to ‘reckon’ dates. Like the ‘writing’ she enacted in other works, in which her handmade wavy inscriptions describe nothing beyond the action of making a line, these ‘reckonings’ execute a clearly prescribed routine. Life / Living is one of a number of installations that Darboven created using objects from her family home in Hamburg, in this case two dolls houses. 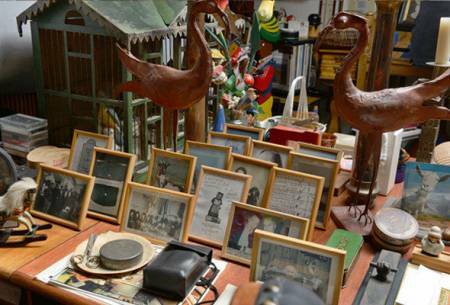 Her home and studio was full of objects including maps, toys and tribal artifacts, which - like a cabinet of curiosities - attempted to bring together different cultures and forms of information. An island of these objects forms a part of the exhibition and reflects another side of Darboven, distinct from the clinical, geometric grid-works. That Darboven’s work was generated systematically, rather than as a product of an expressive act, adds to its power to reflect the limitations and scale of human action. Darboven’s work does not imply selection, it creates patterns that run across time, enacting the impossible complexity of accepting anything among everything. Image: Rainer Bollinger, Switzerland. Hanne Darboven Stiftung, Hamburg/ VG-Bildkunst. «Menù immaginato» è la reading performance dell’artista Leone Contini che si terrà venerdì 31 luglio alle ore 19 nel Giardino delle Sculture del Mart. L’appuntamento si inserisce, oltre che nel calendario dell’Expo, nell’indagine che il Museo conduce sul tema della guerra nell’anno del Centenario. L’artista condurrà il pubblico alla scoperta delle cucine e delle ricette regionali del secolo scorso, così come furono raccontate dai prigionieri del Lager di Celle in Germania, tra i quali c’era il prozio di Contini. La performance sarà accompagnata da una cena durante la quale i partecipanti assaggeranno cinque piatti realizzati secondo le ricette originarie di inizio ’900: Sandwich di polenta, Patate in purgatorio, Maccheroni al gratin, Maneghi de trivelin, Omelet al Rhum. 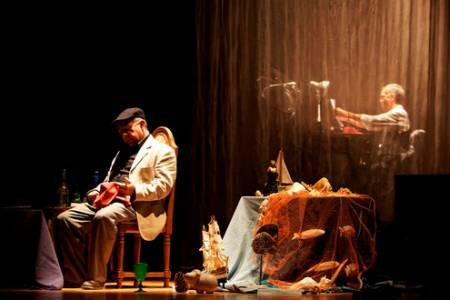 Nuova tappa ligure per Assemblea Teatro che fa ritorno a Genova. Palco, la suggestiva Piazza San Matteo, che ospita una delle ultime produzioni della compagnia torinese. 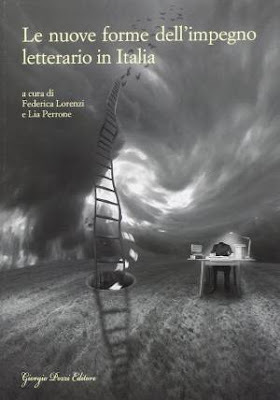 Un lavoro scritto a quattro mani da Renzo Sicco e Luis Sepulveda, che vuole approfondire la ricerca intrapresa sulla figura del Poeta cileno Pablo Neruda, andando a scandagliare il “periodo” italiano, l’amore, lo sbocciare dei sensi, la nuova poesia, sino ai giorni del golpe e della morte. La Capri di Neruda l’abbiamo conosciuta attraverso i versi del poeta, scritti nella primavera del ’52, attraverso le pagine dell’autore cileno Antonio Skarmeta ne “Il postino di Neruda” e le immagini che lo ritraggono in un periodo spensierato e felice nella bellissima isola dell’arcipelago napoletano. Ma la Capri di Pablo Neruda fu prima di tutto fuoco e amore, alcova e nido per la passione, sino ad allora clandestina, per Matilde Urrutia. L’isola di Capri entrò indelebile nel percorso del poeta soprattutto grazie a lei, la Chascona (la spettinata, per i capelli rossi dalla pettinatura vaporosa), come la chiamava Pablo, che fu compagna di questo intenso periodo d’esilio, e che più avanti avrebbe preso il posto della moglie, la mite e devota Delia, restando con Pablo sino ai drammatici giorni del Golpe e della morte. Amore e poesia, vita e dolore, sono i punti focali di questo spettacolo che, a 40 anni esatti dalla morte del poeta, avvenuta il 23 settembre del 1973, Renzo Sicco e Luis Sepulveda hanno deciso di scrivere e presentare sulla scena. Il testo, costruito attorno all’evento del Funerale di Neruda, simbolica e unica manifestazione di resistenza nei primi giorni dopo il golpe in Cile, approfondisce la riflessione sulla forza della parola. La parola come libertà nelle opere di Pablo e come salvezza nei ricordi di Matilde. Fino alle drammatiche ore del settembre 1973, pensieri e immagini di una vita scorrono come in un vortice che mescola emozione e tempo, poesia e dramma umano, gioia dell’anima e tragedia della realtà. Il poeta, le sue case, la sua poesia come architettura di fantasia, trionfo di allegria e resistenza. Con questo nuovo lavoro, Assemblea Teatro prosegue il suo omaggio al grande poeta, simbolo di un intero continente, quello Sud Americano, a cui la compagnia è legata da ormai oltre vent’anni. La mostra Qualcosa di mio, pensata e realizzata attraverso le suggestioni di Letizia Battaglia, raccoglie immagini di donne, bambine, i loro sguardi, i gesti quotidiani catturati nella crudezza del bianco e nero in una Sicilia fuori dal tempo, eppure oggi inconfondibile. Come scrive Alberto Stabile, “In quella Palermo che Letizia Battaglia ha fotografato nell'arco di tempo che va dalla metà dei ‘70 alla fine degli ‘80, di quella catena che ha immobilizzato la città alla logica della violenza e del malaffare, salvo rare eccezioni, le donne rappresentavano l'anello più debole. Donne inchiodate ad un ruolo primordiale, come le “spose bambine”, di cui parlava in quegli anni Mario Farinella in una sua memorabile inchiesta sui quartieri poveri. Donne tuttofare. Donne cui è negato il sorriso, il gioco, la felicità”. Soprattutto l’attenzione per l’infanzia, quello stato di purezza fragilissimo, e per questo temporaneo, nella carriera di Letizia Battaglia funziona come contraltare, o redenzione, al tanto, troppo dolore impresso negli scatti che l’hanno accompagnata negli anni di piombo a Palermo. Quella Palermo che lei stessa sente malata, e con cui ha intessuto un lunghissimo rapporto di “rabbia e di dolcissima disperazione”. La fotografia di Letizia Battaglia è ricerca analitica verso di sé, strumento di “salvezza e verità”, come dice lei. Ha ritratto luoghi e decine di vittime di omicidi di mafia, ma in questa selezione di immagini l’obiettivo oltrepassa il dato di cronaca per diventare qualcos’altro, qualcosa di personale, di profondamente individuale, quello che lei stessa definisce qualcosa di mio. La spia di un dolore con cui convivere. La partecipazione struggente ad una condizione umana inaccettabile. L'indignazione che trascende nell'atto della denuncia. Perché, come scrive Stabile, “chiunque potrà vedere sullo sfondo di certe immagini, il sintomo visibile di un degrado generale cui non sono rimaste estranee le mani e le logiche della criminalità organizzata”. Riconosciuta tra le personalità di riferimento per la fotografia di reportage, insignita di prestigiosi premi internazionali - prima donna europea a ricevere il premio "W. Eugene Smith" per la fotografia sociale nel 1985 - Letizia Battaglia (Palermo, 1935) ha alle spalle un lungo apprendistato: passando dalle foto di Pasolini ed Ezra Pound, al lavoro quotidiano per il giornale L’Ora di Palermo dove le sue foto dei cadaveri eccellenti della guerra di mafia hanno il peso e l'impatto di veri e propri editoriali. A questo sofferto percorso, intimo e professionale, non può rimanere estraneo l'impegno politico per tentare di cambiare una realtà incastrata in una logica solo apparentemente immutabile. E qui s’iscrive il suo incarico come Assessore alla Vivibilità nella prima giunta di Leoluca Orlando. 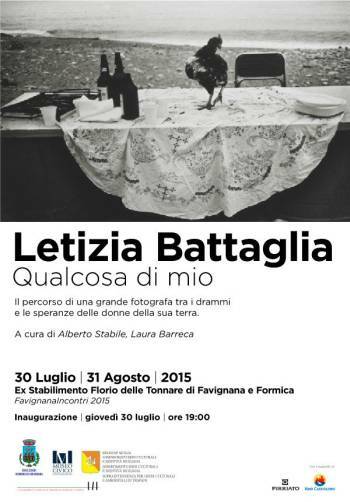 Quest’anno Letizia Battaglia ha compiuto ottanta anni e moltissimi attestati sono giunti da tutto il mondo, confermandola come la più importante fotografa siciliana contemporanea. Con la sua direzione artistica è nato di recente il Centro Internazionale di Fotografia, che vivrà di foto della città donate dai fotografi palermitani, all’interno dei Cantieri Culturali alla Zisa di Palermo. La mostra, organizzata come evento espositivo all’interno di “FavignanaIncontri 2015”, a cura di Alberto Stabile, è realizzata in collaborazione con il Museo Civico di Castelbuono (PA), dove sarà esposta a dicembre 2015. L’abstraction belge a connu au cours du XXème siècle deux grands apogées comme le reste de l’Europe. L’un se situe au début des années vingt et voit éclore un groupe de jeunes artistes qui à travers le mouvement de la Plastique Pure remettent en question les bases de la peinture en prolongeant les réflexions entamées par le cubisme et le futurisme. Ce mouvement, relativement éphémère, se fonde autour de deux principaux foyers géographiques : Bruxelles et Anvers. Michel Seuphor, Jozef Peeters, Paul Joostens, Victor Servranckx sont parmi les pionniers de ce mouvement. La seconde manifestation d’importance de cette abstraction apparaît au lendemain de la Seconde Guerre mondiale. Une nouvelle génération d’artistes se trouve alors face à un choix souvent antagoniste : celui d’une abstraction lyrique et impulsive et celui d’une abstraction géométrique et rationalisée. Jo Delahaut apparaît comme la figure marquante et représentative de ces créateurs qui se placent dans la lignée des constructivistes russes et du Bauhaus. L’exposition présentée dans les deux espaces d’expositions temporaires permettra d’offrir un large panorama de l’évolution de l’art géométrique belge des années 20 à nos jours en montrant également comment quelques artistes contemporains continuent d’explorer certaines voies initiées par leurs aînés. Dans les espaces du château, l’exposition historique présentera plusieurs œuvres de chaque artiste selon des axes chronologiques mais aussi thématiques. Cette exposition est un panorama de l’abstraction géométrique belge. Avec l’invitation d’artistes contemporains, c’est un nouveau regard qui est porté sur le travail de ces artistes mettant en évidence leur influence majeure dans l’art abstrait européen. Pour prolonger le parcours historique, trois artistes contemporains seront en effet présentés au niveau -1 de la donation. Ce sont les modalités de perception de l'œuvre qui seront plus spécifiquement appréhendées dans cet espace inscrivant les travaux de la nouvelle génération dans une histoire de la picturalité qui questionne couleur et lumière, perception et abstraction. Pieter Vermeersch interviendra dans les espaces d’exposition avec une production spécifique de wall-painting. La couleur occupe une place centrale dans le travail de cet artiste qui en explore les nuances chromatiques dans leurs rapports à la lumière naturelle ou artificielle. Les dessins de Bas Ketelaars prolongeront ce dialogue de l'œuvre avec l'espace puisque le travail de cet artiste se concentre sur la représentation de l'espace à travers des œuvres graphiques utilisant des formes simples pour suggérer la profondeur. Quant à Ann Veronica Janssens, elle perturbe les relations de l’espace et du corps, déconstruit l’objet et ramène le spectateur à son propre corps et à ses émotions perceptives profondes. Son travail est une expérience active de la perte de contrôle, de l’instabilité, qu’elle soit visuelle, physique, temporelle ou psychologique. Il libro raccoglie una serie di saggi di Jean-François Lyotard, protagonista della filosofia contemporanea, ricoprendo l'intera riflessione estetica del filosofo tra gli anni Settanta e i Novanta. Dall’economia del desiderio – in cui opere, artisti e pubblico sono considerati come superfici sensibili interattive – si giunge alla fine postmoderna delle grandi narrazioni e al recupero della Critica della facoltà di giudizio come luogo per ripensare la «materia» dell’arte. 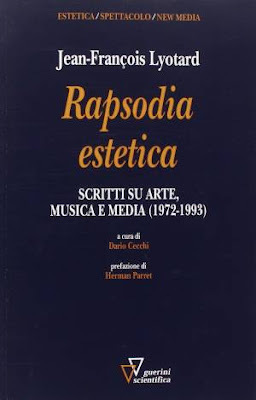 Il libro non restituisce solo gli interessi artistici e i pensieri di un filosofo che ha segnato l’ultima parte del Novecento, ma apre oggi anche a una meditazione sull’arte e sulla sensibilità, e sul loro rapporto, oltre la categoria di opera. Negli anni del boom economico molti rotocalchi raggiungono una presenza capillare nelle case degli italiani, tanto da costituire, oggi, uno strumento fondamentale per lo studio di gusti e conoscenze del grande pubblico dei primi anni Sessanta. Il volume racconta l'arte moderna come affiora da quelle pagine, che lasciano spazio soprattutto alla cronaca attraverso argomenti, temi e formati specifici, e soprattutto con un linguaggio molto diverso da quello delle riviste di settore. Si va dal generoso impulso didattico in favore di lettori ancora poco avvezzi al contemporaneo, alle velenose nostalgie per la "bella pittura" a uso e consumo del pubblico più reazionario, ai consigli su come affrontare indenni il mercato in un'epoca in cui l'arte moderna sembra poter diventare l'ennesimo oggetto di consumo di massa, fino alla curiosità per il mondo di mercanti, critici, giovani artisti e maestri affermati. Ne esce un quadro variegato di linguaggi, strumenti, forme e modi utilizzati per parlare d'arte a un pubblico popolare, rispondendo all'esigenza e all'opportunità, entrambe straordinarie e forse irripetibili, di affrontare i temi dell'arte fuori dai ristretti circoli specialistici. Legni e oggetti sottratti dal mare alla vita di tutti i giorni ritornano alla terra dopo lunghi viaggi fra i flutti. E raccontano storie di uomini e cose. Dal 3 luglio al 6 settembre 2015 alla Galleria delle Esposizioni del Galata Museo del mare di Genova, i pesci di grandi dimensioni che l’artista Gianni Lodi ha realizzato utilizzando legni e altri materiali approdati sulla spiaggia sotto la sua casa-studio di Framura sono i protagonisti della mostra "Pesci fuor d'acqua' curata da Enrico Formica. “Dalla spiaggia sotto casa, dice Gianni Lodi, recupero le materie prime del mio fare arte: legni, ferri, corde, plastiche….Cerco la bellezza che sfugge al primo sguardo e lavoro su questa intuizione. Intervengo il meno possibile sui materiali: ne sfrutto forma e colore, li accosto, li sovrappongo per svelarne il potenziale espressivo e consegnarli, ricomposti, al colloquio con chi li osserva”. "Le opere in mostra - sottolinea Formica - rimandano all’iconografia delle culture arcaiche, come del resto le altre serie che fanno parte della sua produzione: totem, bucrani, maschere cerimoniali, anatomie umane. Nel loro insieme, propongono un dialogo fra la ruvida energia dei legni consumati dal mare e l’ironia degli oggetti quotidiani usati fuori contesto. 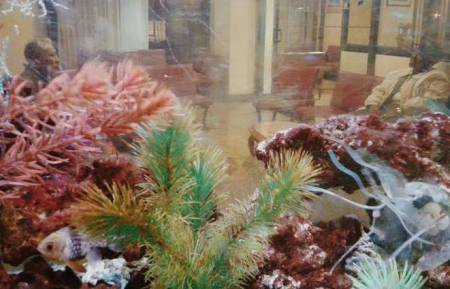 Quelli in mostra, sono pesci disperati ma bellicosi, che invitano a reagire in difesa di un ambiente costantemente violato". "La grande installazione Naufragio, che chiude emblematicamente la mostra, è d’altra parte testimonianza drammatica e attuale di quanto avviene oggi nei nostri mari. Questi oggetti “rinati”, spiega ancora il curatore della mostra, emanano non casualmente un’energia selvaggia e ribelle: nella loro allegria grottesca e nella loro rabbia possiamo leggere un atto di accusa verso il consumismo e la relativa attitudine non solo a buttar via le cose, ma a disprezzare la povertà delle persone e la semplice bellezza della natura". On the approach of the centenary of Ireland’s Easter Rising and the subsequent establishment of the new Republic, IMMA presents El Lissitzky: The Artist and the State. The exhibition reflects on the artistic and cultural community that gave voice to a new image for the emerging state and a visual language for its politics, placing this local reflection within a broader global consideration of the role of artists in the imagination of emergent states of the early 20th century and a contemporary reflection on the task of the artist in relation to civil society. The exhibition brings together a significant body of works from the Van Abbemuseum Eindhoven by El Lizzitsky (1890–1941), one of the most influential artists of the 20th century, shown here for the first time in Ireland. El Lizzitsky was an enthusiastic supporter of the Russian Revolution; for him, the construction of the Soviet Union meant the opportunity to break away from traditional constraints. He used it to develop visions of a collective aesthetic of the new world, which he then embodied in his artworks. These works, including an important body of his noted "Proun" series, are shown in the context of archive material referencing the work of Irish nationalist poet and writer Alice Milligan (1865–1953) and her collaborator Maud Gonne (1866–1953). The exhibition explores their parallel visions of the activated artist central to the imagining of a new state. El Lissitzky and Milligan both envisaged their creative practices as tools for social and political change, although realising this through very different aesthetic languages and strategies. What becomes clear is the conviction and active participation in the task at hand: the artist as active in the formation of the new world order. A contemporary counterpoint to the historical narrative is provided by the work of four artists—Rossella Biscotti, Núria Güell, Sarah Pierce and Hito Steyerl—whose work, in different ways, reflects on the position of the artist within contemporary society. Núria Güell and Rosella Biscotti directly address our position as individuals within the mechanics of the state, while Pierce questions the task of the artist (both past and present) in addressing any kind of cohesive experience in civil society. Hito Steyerl will exhibit two works, each of which reflect on the important history of the Russian Avant Garde while pointing towards more contemporary concerns within today’s digitised and militarised global context. El Lissitzky: The Artist and the State brings to Ireland for the first time an extraordinary body of work by El Lissitzky—generously lent to IMMA by the Van Abbemuseum, Eindhoven, The Netherlands—shown alongside archival material related to Alice Milligan and Maud Gonne’s theatrical tableaux, as well as newly commissioned and recent works by Rossella Biscotti, Núria Güell, Sarah Pierce and Hito Steyerl. A full programme of talks and lectures accompanies the exhibition. Visit the web site for more information. Image: Proun ca. 1922-1923. 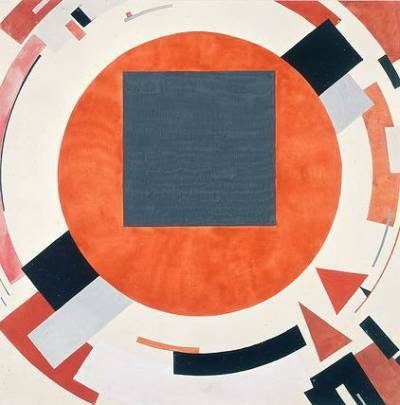 El Lissitzky 1890 Potsjinok - 1941 Schodnia (RU) gouache, pencil on paper 52 x 50 cm 97,2 x 77,3 cm. Sino al 4 ottobre prossimo è visitabile la mostra “Canova e i maestri del marmo. La scuola carrarese dell’Ermitage” curata da S. Androsov e M. Bertozzi. L’esposizione, ospitata al piano nobile di Palazzo Cucchiari, oggi sede della Fondazione Giorgio Conti, presenta sedici sculture in marmo provenienti dal Museo dell’Ermitage; sette gessi di proprietà dell’Accademia di Belle Arti di Carrara oltre a una copia da Lorenzo Bartolini conservata presso l’Istituto d’arte di Massa: si tratta di opere esemplari del gusto collezionistico dello Zar Nicola I, amante della scultura moderna ospitata al Nuovo Ermitage, legate alla Scuola Carrarese e ai suoi maggiori protagonisti. Alla fine del 1845 Nicola I, Zar di tutte le Russie, visita l’Italia, e lo fa in forma privata, ingrossando le fila di quel singolare pellegrinaggio artistico, chiamato “Grand Tour”, che fu insieme percorso di formazione e scoperta esotica del mondo mediterraneo. Durante il suo soggiorno romano, dove arriva il 13 dicembre, lo Zar non si limita a visitare i luoghi simbolo e i monumenti principali della città, ma si fa accompagnare anche negli atelier dei principali scultori insediati a Roma, tra i quali quelli dei carraresi Pietro Tenerani e Luigi Bienaimè. Nicola I guarda e agisce come un collezionista: il suo scopo è in effetti quello di acquistare o commissionare opere destinate alla sala della Scultura Moderna, che intende allestire nel Nuovo Ermitage, il primo museo imperiale di Russia, che si sta costruendo proprio di fianco al Palazzo d’Inverno. Alcune delle statue, collocate nella sala della Scultura Moderna, e nello specifico quelle legate alla cosiddetta Scuola carrarese, tornano adesso a Carrara, per essere ospitate a Palazzo Cucchiari, nella mostra “Canova e i maestri del marmo. La Scuola carrarese all’ Ermitage”. 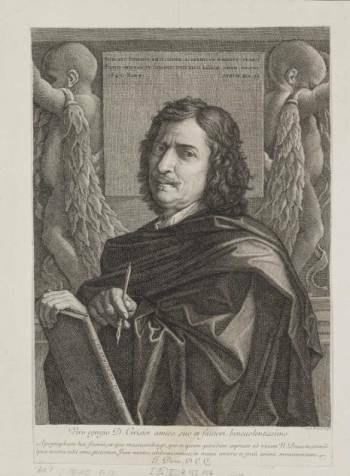 A segnare il percorso e i connotati della mostra sono le sculture di un precursore come Giovanni Antonio Cybei, che fu il primo direttore dell’Accademia di Belle arti di Carrara, di Lorenzo Bartolini, che diresse l’Istituto durante il periodo napoleonico, e di Antonio Canova, che da Carrara ebbe non solo l’importante contributo di un materiale straordinario e unico al mondo ma anche alcuni allievi di eccezione. Alle sculture dell’Ermitage si affiancano sette gessi, con precisi riferimenti alle opere in mostra, conservati all’Accademia di Carrara, e una copia, fin qui sconosciuta, della Fiducia in Dio, conservata all’Istituto d’Arte di Massa, seguendo un percorso che si avvia con una scultore che fonda una scuola, dove fin da subito si formano artisti destinati loro pure a fare scuola, rilanciando l’attività delle botteghe e dei laboratori, dove si rinnova l’immanenza quotidiana della più aristocratica fra le materie dell’arte: il marmo di Carrara. 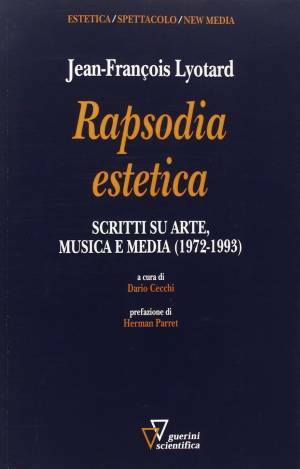 La mostra è corredata da un catalogo edito da Pacini editore, con scritti di S. Androsov, R. Bavastro, M. Bertozzi, C. Giumelli, E. Karceva, T. Lera. SERGIO CAMPAILLA, MARCO MENATO ET AL. Una scoperta casuale fa ancora parlare di Michelstaedter, il giovane filosofo suicida a Gorizia nel 1910. Quasi nascosta dentro una importante biblioteca triestina, quella di Cesare Pagnini, i resti della biblioteca che ha nutrito fino all'ultimo il pensiero di Carlo Michelstaedter. E il ruolo di Umberto Saba, libraio e poeta, in questa sconosciuta vicenda di uomini e libri. Esaminate le teorie sul tempo degli antichi e dei cristiani, viene analizzata la concezione della temporalità di Petrarca, che si colloca al momento del passaggio da un'idea del tempo basata sui cicli astronomici a una convenzionale. 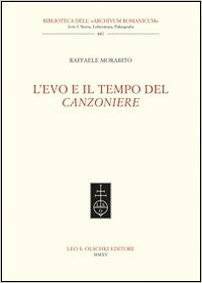 Il tempo di Petrarca si configura come relativo e si rapporta alla soggettività di chi lo percepisce; i vari episodi del Canzoniere si dispongono in successione oggettiva, ma dentro un'impalcatura cronologica modellata sull'anno liturgico e configurano una vicenda interiore che culmina nella mutatio vitae. Nuova monografia della prestigiosa “Collana Storica dell’Oltremare Ligure”, ideata da Nino Lamboglia nel 1971, con opere affidate a studiosi della “Scuola Genovese” quali Geo Pistarino, Giovanna Petti Balbi, Giovanni Forcheri, Gabriella Airaldi e Laura Balletto autrice di questo volume dedicato agli atti rogati nel XIV secolo dal notaio Raffaele de Casanova nella colonia genovese di Chio sul Mar Egeo. A proseguire un‘intensa stagione di mostre d’arte, CUBO, Centro Unipol Bologna, il 28 luglio inaugura “SIRONI-BURRI: un dialogo italiano (1940-1958)” a cura di Christian Caliandro. 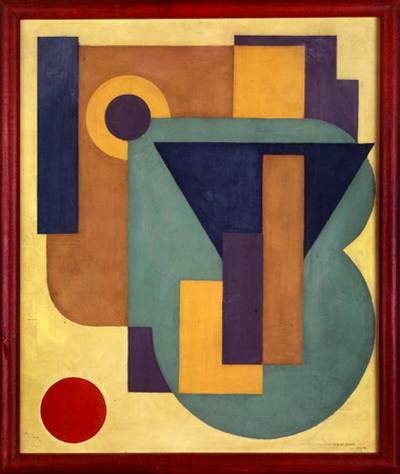 Un dialogo serrato tra Composizione Murale (1940-1942 ca.) di Mario Sironi e Nero con punti (1958) di Alberto Burri, due opere del patrimonio del Gruppo Unipol, che testimoniano la tensione creativa che anima la ricostruzione dell’Italia dopo la Seconda Guerra Mondiale. Il 22 settembre, presso lo Spazio Cultura di CUBO, Christian Caliandro, Vanni Santoni (scrittore, cofondatore del progetto di scrittura collettiva SIC), Alessandra Mammì (critica d’arte contemporanea e giornalista de l’Espresso) si incontreranno per conversare su Sironi, Burri e sull’Italia del loro tempo: sarà l’occasione per una riflessione critica e per approfondire gli aspetti storico-culturali coinvolti in questo dialogo italiano. Un’Applicazione multimediale, disponibile presso lo Spazio Arte, permette inoltre di ampliare in modo intuitivo e autonomo i contenuti inerenti la mostra. 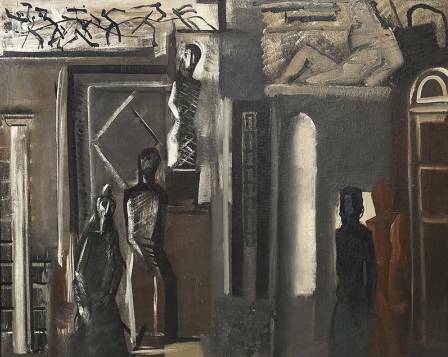 Immagine: Mario Sironi, Composizione murale 1940-1942 ca. The small exhibition commemorates Nicolas Poussin (1694–1665), one of the most important Baroque painters, who died 350 years ago. Quando nella primavera del 1955 il giovane B.H. Friedman lo incontra per la prima volta, Jackson Pollock è già un "vecchio maestro" dell'Espressionismo Astratto. Possente nel fisico quanto esplosivo e lavico nel talento, si è conquistato fama internazionale con un corpus di opere che racchiude un'intera gamma espressiva, dal delicato lirismo alle immagini più impetuose. 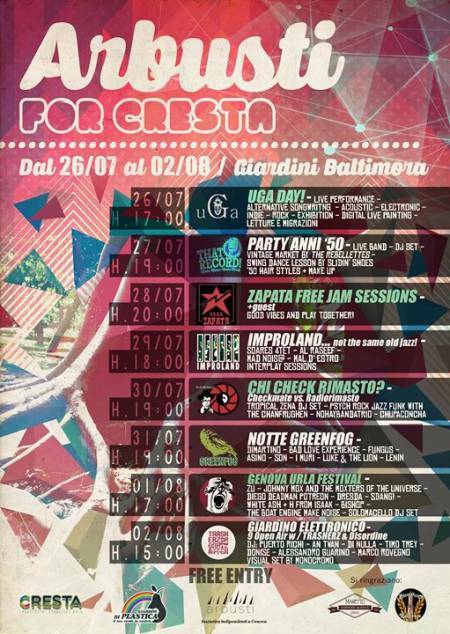 La rivista Life lo ha da poco osannato come il più grande pittore statunitense e alla Cedar Tavern è riverito ogni sera da una folla di giovani artisti che sgomitano per avvicinarsi a lui. Per loro Jackson è quello che ha rotto il ghiaccio e spianato la strada alla prima generazione radicalmente americana. 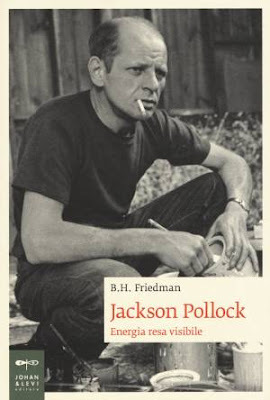 Per i semplici avventori del leggendario ritrovo del Greenwich Village, invece, Pollock non è che un elemento pittoresco, un personaggio tristemente noto per le sue metamorfosi: in preda all'alcol la voce gli si fa più roca, il lessico scurrile, i gesti via via più aggressivi, lo sguardo obnubilato, fino allo scoppio dell'inevitabile rissa. Frutto di un'amicizia nata nell'ultimo anno di vita di Pollock, questo libro ne ripercorre la breve parabola con straordinaria vividezza, senza trascurare i momenti più sofferti: gli stenti degli anni formativi e l'uso dell'alcol per placare i conflitti interiori, i primi lavori accademici realizzati sotto la supervisione di Thomas H. Benton e la scoperta di un linguaggio tutto suo, il dripping. In occasione del ventennale del loro album di debutto, la cult band Marlene Kuntz è tornata a suonare dal vivo e con il Catartica Tour arriva al Porto Antico nell’ambito di Palco sul Mare Festival. Da ormai quaranta anni Sheikh Nasser Sabah al-Ahmad al-Sabah e Sheikha Hussah Sabah al-Salim al-Sabah, raccolgono opere d'arte islamiche e del Medio Oriente pre-islamico. La loro collezione, stimabile in circa 35.000 oggetti, è certamente una delle più importanti al mondo, non solo per ampiezza, ma anche per qualità e originalità delle opere. In occasione della Festa Nazionale del Kuwait il 23 febbraio 1983 la Collezione venne offerta in prestito permanente al Museo Nazionale del Kuwait dove rimase fino alle tragiche vicende dell'invasione irachena dell'agosto 1990. Dalla razzia allora operata si salvarono un centinaio di oggetti, il nucleo della mostra "Arte Islamica e Mecenatismo", protagonista in seguito di un tour che ha toccato oltre venti fra i musei più importanti del mondo (giunse anche in Italia, a Firenze nel 1994). Le altre opere, in seguito quasi integralmente recuperate a Baghdad, sono poi tornate in Kuwait e costituiscono una delle raccolte medio orientali più complete e prestigiose al mondo. Il Dar al-Athar al-Islamiyyah "Casa delle Espressioni Culturali dell'Islam", guidato con competenza e passione da Sheikha Hussah, non è solamente un museo – e già sarebbe molto – ma un attivissimo centro culturale polifunzionale attivo in un piccolo paese, il Kuwait, con una grande propensione e vocazione alla Cultura, colta e popolare, caratteristica che lo distingue e rende unico. Conoscere, capire, educare al bello sono compiti irrinunciabili di ciascun individuo, una missione complessa e difficile in questi anni di tensioni, scontri e conflitti armati che creano insicurezza e paure non irrazionali; il mondo si interroga su quale risposta fornire alla drammatica e violenta realtà che ci circonda, e "le donne e gli uomini di buona volontà" incessantemente cercano e percorrono un itinerario che è fatto di dialogo e comprensione, pur nelle differenze, mai negate, ma semmai percepite come un importante valore. I mondi islamici (impossibile e errato declinare Islam al singolare), sono negli ultimi anni saliti alla ribalta per ragioni disparate di ordine religioso, economico e politico, ma sempre più si è imposta la necessità di conoscere, capire, educare. L'arte è la migliore ambasciatrice di culture e civiltà ormai più che millenarie. 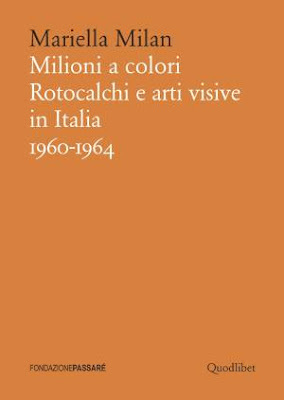 La ricca e variegata Collezione al-Sabah attraverso l'esposizione di oltre trecento opere d'arte permette al grande pubblico di avvicinarsi a una espressione artistica multiforme, ricca, elegante, raffinata e per molti versi assolutamente sorprendente. Una sfida al dialogo e alla comprensione e allo stesso tempo una scoperta preziosa. Il percorso della mostra si articola in due parti. 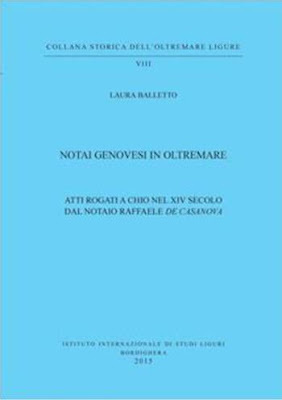 La prima è rigorosamente cronologica, e introdotta da una piccola sezione numismatica atta a inquadrare storicamente e geograficamente le principali fasi dello sviluppo delle civiltà musulmane. Si prendono le mosse dalle influenze delle grandi civiltà rivali di quella nascente islamica (tardo antica bizantina da un lato, mesopotamica orientale dall'altro, non senza sottovalutare gli apporti centroasiatici, indiani e dell'Oriente più estremo...) sugli inizi e sul periodo formativo, per passare allo sviluppo di un linguaggio artistico autonomo e peculiare che via via si ramifica e consolida con esiti di superbo equilibrio, per concludere con i tre grandi imperi cinquecenteschi, veri giganti politici e culturali: l'impero mediterraneo dei Turchi Ottomani, quello iranico dei Safavidi di confessione sciita ma straordinariamente aperti al resto del mondo, l'opulenza fiabesca della corte indiana dei Moghul. Nella seconda parte si esemplificano i temi e modi artistici centrali delle esperienze artistiche islamiche: il rigore formale delle stupende calligrafie, la scientifica e dotta esplorazione delle possibilità matematico/geometriche, l'inesausta e infinita fantasia del motivo floreale ripetuto (arabesco), fino alla rappresentazione astratta e realistica della figura animale o umana a smentire il trito e falso mito della iconoclastia islamica. Chiude la mostra lo scintillante sfarzo del tesoro con le opere di oreficeria, principalmente indiane, vanto della Collezione al-Sabah che in questo settore non teme per quantità e qualità delle opere, rivali al mondo. Mille e quattrocento anni di storia, territori che dalla Spagna giungono fino alla Cina, con materiali disparati: pietra, stucco, tessili, vetri, metalli, avori, cristalli di rocca, legni, ceramiche, gioielli, miniature.... A comporre un affascinante e probabilmente inatteso affresco capace di stupire, coinvolgere ed emozionare il visitatore. La mostra è organizzata dall'Azienda Speciale Palaexpo, Roma, in collaborazione con Dar al-Athar al-Islamiyyah, National Council for Culture, Arts & Letters, Kuwait. Joseph Cornell: Wanderlust is organised by the Royal Academy of Arts, London, in collaboration with the Kunsthistorisches Museum, Vienna (exhibition tour: 20 October 2015 – 10 January 2016). The exhibition is curated by Sarah Lea, Curator at the Royal Academy of Arts, and Jasper Sharp, Curator at the Kunsthistorisches Museum, with Lynda Roscoe Hartigan, as Academic Advisor. 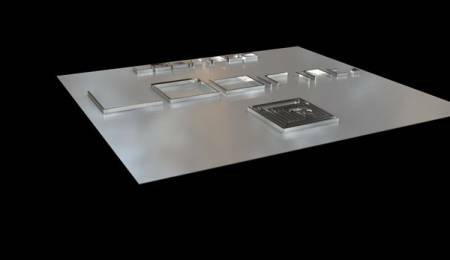 In London, the exhibition has been designed by Carmody Groarke. The exhibition is accompanied by a fully illustrated catalogue with essays by Sarah Lea, Jasper Sharp, and Lynda Roscoe Hartigan with a chronology by Ben Street. 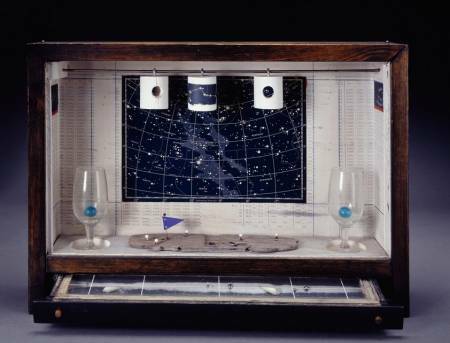 Image: Joseph Cornell, Untitled (Celestial Navigation), 1956-58. Presses Universitaires de Namur, 2015. 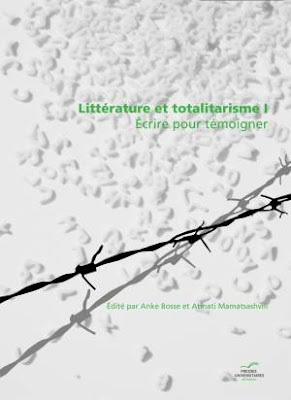 Le colloque Littérature et totalitarisme I. Écrire pour témoigner dont nous présentons ici les actes a incité les chercheurs à aborder la question sous différents angles : l'incursion du politique dans le champ artistique, le pouvoir des mots face au pouvoir totalitaire, l’écriture comme témoignage, la fiction comme un texte de témoignage. Est également évoqué le rôle de l’écrivain dans un contexte totalitaire, que ce soit le régime communiste ou le régime nazi. Plusieurs approches ont été élaborées pour saisir le sujet dans ses diverses manifestations : textes de témoignage, carnets, textes fictionnels destinés ou non destinés à la publication. Tout en se centrant sur le phénomène totalitaire, les questions soulevées mettent en relief en quoi ces textes constituent un défi, une opposition au politique, et incarnent un témoignage singulier. La présente publication sera suivie, en 2015, par celle des actes du deuxième colloque : Littérature et totalitarisme II. 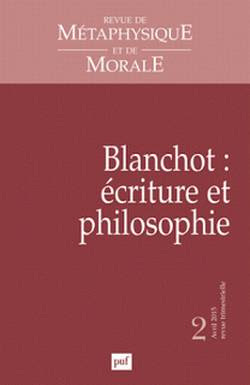 Vers une conceptualisation du phénomène. Grid, attraverso immagini povere, la fisicità dei formati e la diversa sensibilità dei dispositivi fotografici, è una raccolta di scatti in divenire. Perdendo la gerarchia temporale e del mezzo - fotocamere analogiche di medio formato, macchine fotografiche digitali, e smartphone - le immagini dissolvono la presenza unitaria del soggetto lasciando allo sguardo possibili interazioni. Stefania Schubeyr è un’artista fotografa, laureata al biennio di arti visive dell’Accademia Ligustica di Belle Arti di Genova. Tra i suoi progetti principali: Gemine Muse - Giovani artisti nei musei europei, il Salone Europeo dei Giovani Creatori di Mountrouge. Partecipa a diversi programmi di residenza all'estero tra i quali nell'aprile del 2008 all'atelier fotografico Atelier d'Alexandrie, Artiste dans la Ville, in Egitto. Nel 2013: finalista al concorso di fotografia di Padova Fotografia Festival; selezione portfolio online al Festival della fotografia Europea di Reggio Emilia; residenza d'artista a Atelier A (Apricale). Nel 2015 partecipa con il video Apple Sculpture all'Expo dei popoli presso la Fabbrica del vapore a Milano. Throughout the course of Damien Hirst’s career, belief has been at the heart of his work. 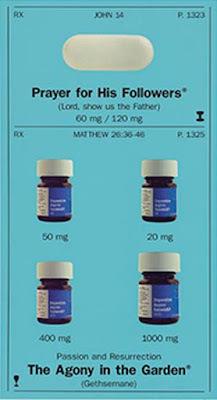 Early medicine cabinets such as God, 1989, pitched an unquestioning belief in scientific rationalism—the conviction that pills can cure you—against the more subjective belief in religion and the redemptive healing power of God. This equation gave form to Hirst’s disappointment that a belief in art did not exist in a similar manner to the way that God or science might be unquestionably believed in. Without this belief in art, any sense of meaning is dissipated; it being through the artifice of art and its formal structures that the illusions of life can be recognised. New Religion, Hirst’s latest project, is grounded in belief and extends this outlook in new directions. The different elements that make up New Religion form a chapel dedicated to desire, a desire to keep mortality at bay but which can’t help confront death at the same time. Belief in religion and medicine is grounded in this desire, confirmed here by its representation as art; where, for instance, The Holy Trinity is presented as a pie-chart that through logic attempts to prove the wholly unprovable. The 44 silkscreen prints and four sculptures that make up New Religion work like a fresco cycle—moving from the Creation of the World, through the Stations of the Cross and towards the Last Judgement—that surrounds an altarpiece holding a cedar cross studded with gem-like pills, a child’s skull and a heart wrapped in barbed wire and pierced by needles and razor blades all cast in silver, and a large carved marble pill. Surrounding this tabletop votive display is the print cycle that confirms Hirst’s vision as a marriage of the sacred to the profane. A doctor’s medicine chart—seemingly rational in order and structured to a grid—becomes a new way of reading the Bible. The different stories of miracles and prophecies are not just pictured through the diverse properties of the medicines, they become the names of the drugs that are supposed to cure us. Printed on different backgrounds—silver, a congealed blood red and a bright sunny sky—the rational order of miraculous medicines seems by turns horrific, precious, gem-like and ethereal. Prints of individual pills further underline these themes while other prints of a skull and a butterfly suggest the suspension of life arrested in death. Belief—whether in religion, art or science—is a means of forming a buffer to the fragility and temporary nature of life and provides a way of living in the shadow of death from which it can ultimately offer no actual escape. Belief, like art, is—as Karl Marx recognised with religion—an illusion that shrouds, even postpones reality. Thirteen sets of the complete series of prints and sculptural objects will each be held in a specially constructed devotional case or reliquary, offering a faint echo of Marcel Duchamp’s strategy of creating a portable museum of his own career in his Boîte-en-valise, 1941–68. New Religion does not, however, provide us with a museum of Hirst’s own career, but instead succinctly sums-up and extends his treatment of issues such as belief, mortality, love, seduction and consumption that have steadfastly remained the themes that have dominated his work and given it meaning over the last 15 or more years. Damien Hirst, The Stations of the Cross. II Jesus Carries His Cross, 2005. Photo: Prudence Cuming Associates. © Damien Hirst and Science Ltd . All rights reserved / DACS 2015. 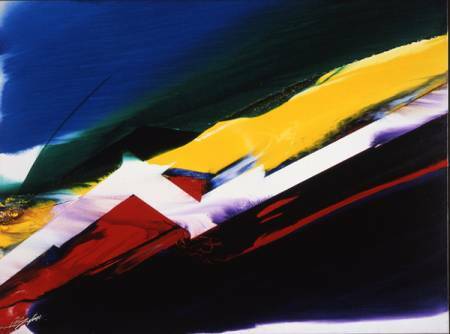 Dal 26 Luglio al 26 Settembre 2015, con vernissage il 25 luglio alle ore 19,30, la Pinacoteca Comunale di Gaeta ospiterà la mostra: Paul Jenkins (Kansas City1923 - New York 2012) dal titolo: I colori dell’invisibile. La mostra, promossa dal Comune di Gaeta, dall’Associazione Culturale Novecento, da Monte-Carlo International Art, riveste un particolare interesse per la grande personalità dell’Artista, conosciuto e celebrato, e per il fatto che nel suo lungo girovagare per il mondo Jenkins ha soggiornato negli anni Cinquanta anche in Italia, a Taormina, attratto dal calore, dagli odori e dai colori della nostra terra. 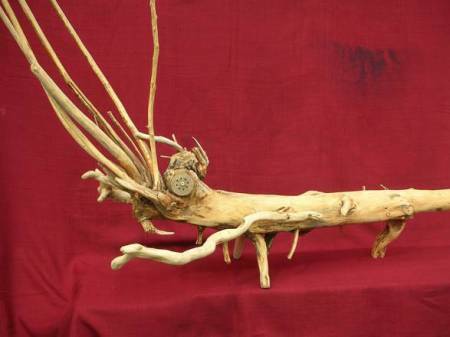 La mostra presenterà un’articolata esposizione di opere chiamate “Phenomena”, titolo generale attribuito dal Maestro alle sue opere, a cui fa seguire una frase o un riferimento al luogo di ispirazione. 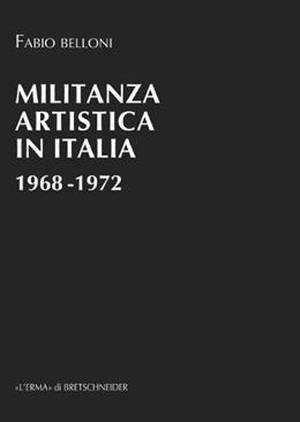 Le opere, in numero di 23, di grandi e medie dimensioni, per lo più del periodo che intercorre tra gli anni Ottanta e Novanta, provengono dalla Montecarlo Interrnational Art che ha conosciuto direttamente l’Artista a Parigi, negli anni conclusivi della sua lunga carriera, quando ormai aveva scelto di vivere e lavorare alternativamente tra Francia (Parigi) e Stati Uniti, (New York), dove si spense nel 2012. Jenkins è stato definito un espressionista astratto o ancora un “fenomenista” astratto; ha studiato presso la Art Students League di New York con Yasuo Kuniyoshi e Morris Kantor e li ha conosciuto Marc Rothko, Jackson Pollock, Lee Krasner e Barnet Newman per poi immergersi nelle teorie filosofiche di Kant. Le sue opere fanno parte di importanti collezioni e sono patrimonio di musei di tutto il mondo. La cura scientifica della mostra è affidata al critico d’Arte Giorgio Agnisola mentre l’Associazione Novecento curerà il catalogo con intervento del Prof. Marcello Carlino ordinario dell’Università “La Sapienza” di Roma. 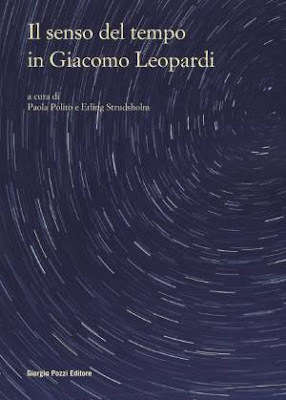 Nonostante la sterminata bibliografia sull'opera e sul pensiero di Giacomo Leopardi, non molto è stato scritto su un tema tanto specifico quanto cruciale della sua riflessione, quello del tempo. Anche se lo "Zibaldone" definisce il tempo "uno accidente delle cose", un puro nome che non ha un'esistenza indipendente se non nel nostro intelletto, in Leopardi il senso del tempo s'intreccia alla riflessione storica, filosofica e linguistica su presente e passato, ai motivi poetici ed esistenziali della memoria, della rimembranza, della morte, del vago e dell'infinito, intessendo del proprio filo la complessa trama di tutta l'opera del grande poeta recanatese. La miscellanea vede la partecipazione di studiosi di varia provenienza e formazione, presentandosi come una riflessione interculturale tra Danimarca e Italia, affrontata nelle sue varie declinazioni, con punti di vista e approcci disciplinari diversi. Saggi di Hanne Jansen, Steen Jansen, Ole Jorn, Paola Polito e Antonio Zollino. «Io so, ma non ho le prove» scriveva Pier Paolo Pasolini in un celebre articolo del 1974, divenuto l’emblema dell’impegno degli scrittori. «Io so e ho le prove» scrive Roberto Saviano in Gomorra, romanzo-simbolo del “ritorno all’impegno” che contraddistingue una parte dell’attuale produzione letteraria italiana. 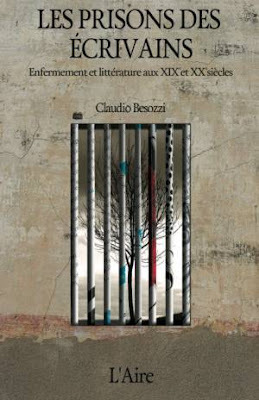 Quali forme assume l’impegno nella letteratura italiana contemporanea? Quali sono gli aspetti di continuità e quali le differenze rispetto alla “lezione” pasoliniana? Come si configura la rappresentazione della realtà in un contesto caratterizzato da nuove forme di espressione e comunicazione? Nel corso di due giornate di studio svoltesi all’Università di Nizza, un gruppo di giovani ricercatori italiani e francesi ha cercato di rispondere a questi quesiti di estrema attualità e centralità nel dibattito critico, analizzando le opere più rappresentative della nuova letteratura impegnata. I saggi qui raccolti approfondiscono i temi del convegno e propongono ulteriori sviluppi: sugli anni Sessanta rivisitati da Ascanio Celestini, sugli anni di piombo reinterpretati da Giorgio Vasta, sugli intrighi della politica restituiti in poesia e in prosa da Valerio Magrelli, sulla criminalità organizzata raccontata da Roberto Saviano e Giancarlo De Cataldo, sul mondo della finanza narrato da Walter Siti. 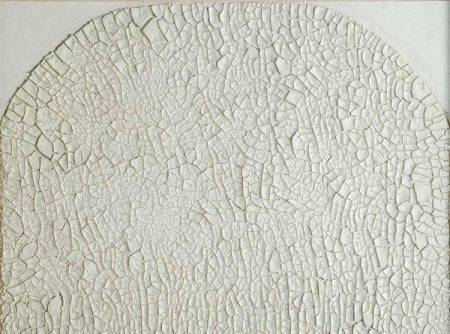 Il Museo Riso di Palermo e la Fondazione Palazzo Albizzini Collezione Burri propongono una importante mostra monografica sul tema “Burri e i Cretti”, in coincidenza con il completamento del Grande Cretto a Gibellina. Il tutto nell’ambito delle Celebrazioni del Centenario della nascita del grande maestro umbro. L’esposizione, curata da Bruno Corà, Presidente della Fondazione Palazzo Albizzini Collezione Burri, resterà allestita nelle sale del Museo Regionale palermitano dal 25 luglio al 15 settembre. 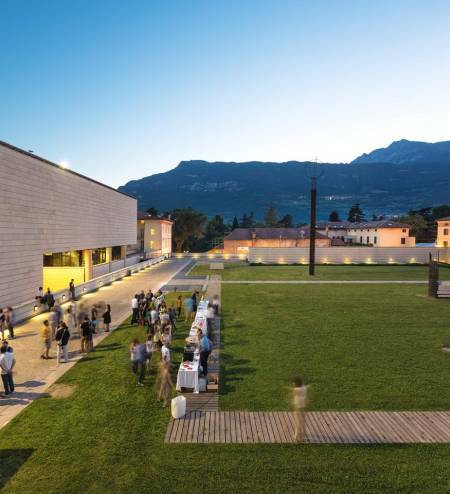 In occasione di questo eccezionale appuntamento il Museo riaprirà il primo piano, che è stato oggetto di un attento progetto di riqualificazione realizzato con fondi europei. In occasione del Centenario della nascita di Alberto Burri, la Regione Siciliana, il Comune di Gibellina in collaborazione con la Fondazione Palaz­zo Albizzini Collezione Burri ha deciso di completare questa grande opera, senza eguali nel panorama artistico internazionale e di ridare dignità alla parte già realizzata dall’artista.